A Nigerian TV station has been shut down by the security services after it reported the president would step down due to his poor health. Managers at Channels TV were arrested on Tuesday night, following the broadcast of a report attributed to the national news agency. The New Agency of Nigeria (Nan) denied the report had come from them and said a false e-mail address had been used. The government said the president was in good health, and blamed "saboteurs". Information Minister John Odey told the BBC the government was angered by the report. "It's an unfounded report published by people who want to distract the government from running the country." "Something like this can destabilise the country and affect the economy, the security aspect is very grave," he said. Nigerian newspapers reported the e-mail had come from an address not usually used by the news agency to deliver stories to their subscribers. This Day newspaper reported the e-mail originated from a computer in Abidjan, Ivory Coast. Remi Oyo, the head of Nan and former press adviser to President Olusegun Obasanjo, issued a statement disowning the single sentence story. "The poor grammar, indicated by the wrong spelling of the word 'cabinet' could not have been that of Nan," she said. Channels Television, which broadcast the report, has been shut down. Controller of news Ambrose Okoh, general manager Steve Jugo, station manager Shola Olaiya and editor Bashir Adigun have all been arrested by the State Security Service. The deputy editor-in-chief of Nan, John Ndukuba has also been arrested. Rumours have surrounded the president's health and his ability to do the job for some time. Last month, he left the country for two weeks, telling ministers he was going on a pilgrimage to the Muslim holy city of Mecca, but went to a hospital in Saudi Arabia for treatment. President Yar'Adua has suffered from a condition affecting his kidneys for at least 10 years. He has twice been flown to Germany for emergency medical treatment in the last 18 months. 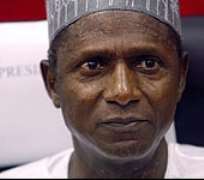 Mr Yar'Adua has refused to say exactly what condition he suffers from, and has repeatedly said in interviews that his life is "in the hands of God."